Former students of St. Anne's Residential School are calling on the federal government to pull its lawyers from their abuse claim hearings. They say they no longer trust the independent assessment process, under the residential school settlement agreement. A group of Indian residential school survivors are calling on the federal government to pull its lawyers from their abuse claim hearings. Former students of St. Anne's Residential School in Fort Albany, Ont., say that after the Department of Justice fought them in court to avoid releasing documents that would help survivors corroborate their claims, they no longer trust the independent assessment process, under the residential school settlement agreement. In January, an Ontario Superior Court judge slammed the government for withholding the documents, which are from an Ontario Provincial Police investigation and subsequent trials that led to the conviction of several former staff of St. Anne's. "The survivors of St. Anne's Residential School request that the attorney general of Canada no longer retain lawyers from the Department of Justice to handle the [independent assessment process] hearings pertaining to St. Anne's," said Edmund Metatawabin in a letter on behalf of survivors to Justice Minister Peter Mackay. "We have completely lost faith and trust in the DOJ lawyers whom [a judge] has found were the people in the federal government who withheld the documents about abuse of children at this school." But it's not just the withholding of documents that has angered survivors. The federal government is mandated to produce narratives for each residential school, which helps the adjudicator at the hearings determine the veracity of claims and spares the victims the burden of proving them as if they were in a criminal court. It's part of what is meant to make the process non-adversarial. The narrative is supposed to include criminal convictions and known cases of sexual abuse. But despite criminal trials and convictions of former staff, the narrative for St. Anne's said there were no known incidents of abuse. Instead, it highlighted two deaths from scurvy or consumption in 1912 and gave information about school committees and laundry and cafeteria services. "This benign history ... creates the impression for these adjudicators that this was a perfectly normal institution as opposed to the house of horrors that the federal government knew it really was," said NDP MP Charlie Angus in an interview with CBC News. Angus represents the riding where St. Anne's operated. Former students of St. Anne's have recounted horrific experiences of sexual and physical abuse, electrocution in a homemade electric chair and being forced to eat their own vomit. And yet, in their hearings, the survivors say, without the support of a full narrative, their truthfulness was questioned by federal government lawyers. "Many times we are made to feel that we are committing the crime, rather than participating in a justice system correcting past abuse," wrote Metatawabin in the letter to Mackay. Fay Brunning, a lawyer for some of the survivors, said the process has been anything but non-adversarial. She said the government lawyers were unrelenting. "They fought me in each and every one of those hearings to the nth degree," she said in an interview with CBC News. In July 2012, Brunning told the Justice Department about the police investigation and convictions in an effort to get the narrative amended. "And I gave them this information because I thought they didn't know. Because none of it was in the narrative," she said. But it turns out the government did know. It had had the court documents since 2003 when it had to defend itself against civil suits. In December 2013, when government lawyers fought survivors in court over the withholding of those documents, it blamed "human error" for the narrative being wrong when it was first produced in 2007. But the Justice Department did not fix the narrative until July 2013, a year after Brunning first contacted the government. An internal email obtained by Angus through access to information shows the Justice Department first proposed corrections to the narrative on July 26, 2013, less than a week after Angus wrote to the minister and just as the MP was going public with the story. The email's subject line reads: "amendments to St. Anne's IRS Narrative - Response to Charlie Angus." It goes on to list all the convictions of former St. Anne's staff to be part of a new narrative. "When they were caught out, they rewrote it in response to political pressure," said Angus. "Not in response to the fact that 'we made a mistake,' not in response to 'we have legal obligations.' If this were done in a normal court, there'd be a mistrial." 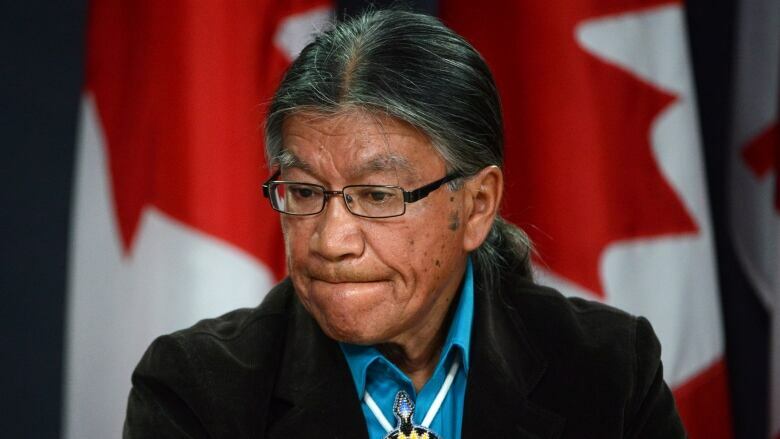 Alvin Fiddler, the deputy chief of Nishnawbe-Aski Nation, which includes Fort Albany where St. Anne's was located, said it is difficult not to come to the conclusion that actions were deliberately taken by the federal government to not disclose all information to survivors and their families. When asked for comment, the justice minister's office referred CBC to the Minister of Aboriginal Affairs Bernard Valcourt. Valcourt's office did not answer specific questions about the St. Anne's case, but said in a written statement, "Our government takes our obligations under the Indian Residential Schools Settlement Agreement seriously and we continue to ensure that the government fulfils its obligations under the agreement."